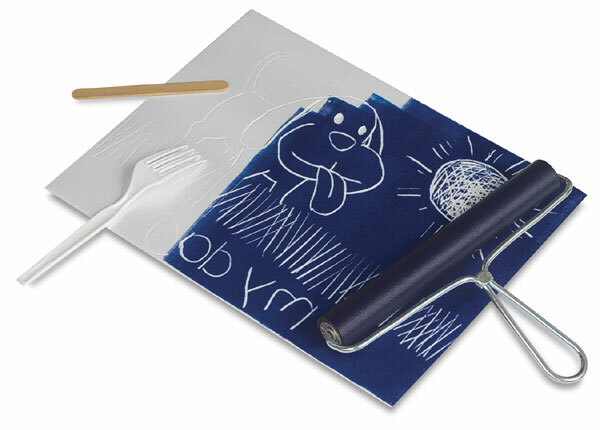 Sensitive surface takes impressions made by pencil, stick or other object to make printing textures (no need for sharp tools). Use water-based inks to produce sharp prints on any paper. Sizes to 12 x 18".